Replacement coils for the Zephyrus by Youde. 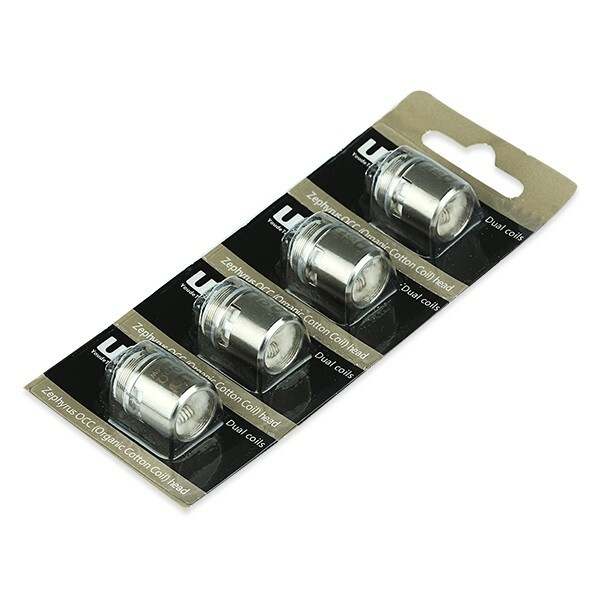 These sub-ohm replacement coils are for Zephryus Sub-Ohm Tank by UD. These replacement coils feature enhanced dual horizontal coils featuring UD's signature ceramic base, greatly enhancing flavor and vapor production. Manufactured using Japanese Organic Cotton, each coil has extremely clean flavor!